Well I FINALLY found the throat coolers for my ECBs! I literally went to FIVE CVSs (three of them twice for a grand total of 8 trips!) and finally hit pay dirt! Thanks so much for the tip! I had my B1G1 coupons, too, so it was a great day! 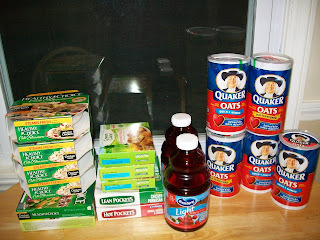 Any coupon up to $.99 should double at Stop and Shop (up to the price with no overage.) Sometimes a coupon will say "do not double" or if it's a peelie coupon it won't double. Most of the time it's at the discretion of the cashier.